"For the majority of South Africans, the lack of information and knowledge impedes their development due not only to scarce material resources but also to a lack of appreciation of the developmental role that the e-resources sector plays. The constitutional right of access to information implies equal access to the knowledge infrastructure, technologies and networks of the 21st century (Department of Arts and Culture, 2018)." To this end, Boston's ICT reconnoitre products that store, retrieve, manipulate, transmit, and receive information electronically in a digital form serve to empower their students and staff alike to enter the digital universe. Recognising the rapid growth of e-learning worldwide, Boston’s academicians continually collaborate, and gauge e-resources related to programmes and modules taught, in order to continually offer accessible ‘library’ resources “in your own space, at your own time”. Currently, a staggering 10 897 e-books and 12 019 e-journal titles are reachable from anywhere in the world 24/7 provided that you are a registered Boston student and have internet connectivity. Student Tshepiso Mokoena remarked on Boston City Campus & Business College's Bookboon HE eLibrary: “…wow great platform. I feel like a kid in a candy store. Thank you”. Another student, Mqondisi Sibonelo Gumede commented: “Mind-blowing...the Information Technology section has many useful books on Programming...love it”. Technologically mediated support that is offered by the various faculties focusses on assisting students in navigating and accessing the available on-line knowledge services for their associated fields of commercial practice. 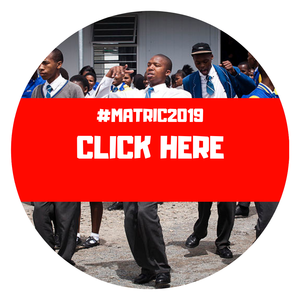 This is in addition to the instructions located in the prescribed and supplementary learning materials that are issued with each programme for which a learner registers. As an added support, Boston Head of Departments and academic tutors are available via various electronic and telephonic processes to provide personal academic tuition. Boston’s Head of IT, Shaun Hart, remarks about the essential effectiveness of the Boston network of support centres granting distance learners localised access to technology, e-resources, and service support resources. “Boston is playing its rightful role in achieving an integrated ICT system and by so doing supports the development of a dynamic and connected information society and a vibrant knowledge economy that is more inclusive and prosperous” as envisaged in the National Integrated ICT Policy White Paper of 2016. Through unpacking the above, students are thus able to position their own knowledge project within the broader commercial knowledge system and to benchmark their endeavours on the knowledge continuum from the lower NQF levels to the most advanced. For more information on study options at this vibrant institution, visit boston.co.za.